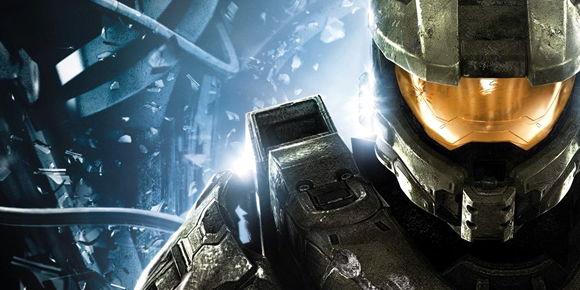 It’s no mystery that our favourite protagonist, the Master Chief, has certainly been through a lot in his valiant years of service for the UNSC, and he’s seen a great deal – most of it troubling. He has encountered the Flood, nearly every variant of the Covenant military, has faced up to entire fleets, taken on Forerunner constructs and has seen many of his former comrades in arms (including Sam-034) fall in the line of duty, enough to push any mere mortal over the precipice of mental stability and into a downward spiral of clinical depression and self loathing. But so far, the Chief has held on to his sanity. Just. Over the past few months we have learned just the tiniest of details of what the Chief will be like in Halo 4 and how his relationship with Cortana will have evolved, or changed. And it would appear that John-117, our stoic and unflinching Spartan-II has finally succumbed to his thirty-five years of service, of which twenty seven were spent in continuous action against the Covenant. So it came as no surprise, to me, that the Chief has been affected. He may be a Spartan but he’s still human. Though 343i are remaining very tightly-lipped over John, they have stated that the weight of his military career, the continuous action and the constant threat of death and destruction in the face of insurmountable odds has taken its toll. He’s a changed man and not necessarily for the better. So this obviously leads to one underlying question: How will he have changed? Throughout his career, the Chief has always put his emotions and his personal opinions aside. Favouring, instead, the orders provided by both his senior commanders and Cortana. Some orders could even be given in error and the Chief, knowing the impact or the possible loss of life, would simply carry on, following those orders to the best of his ability. And the same goes for the instructions and general advice provided by his ‘glowy’ blue comrade, Cortana. She’s intelligent and intuitive and he respects that. But if depression or at least something vaguely resembling it has finally taken hold, then we can possibly expect to see a different approach to achieving a mission or engaging the enemy. In order to appreciate this, let me cast your collective minds back to Halo 3. Remember your fight through the remains of High Charity and the rescue of Cortana? Now picture that scene. The Chief stoops down when he finds her, sympathetic at first. But once he’s assured of her condition, he’s back on task, asking about the index from installation 04 before he’s off again to fight some more of those ugly folk who have puss-filled pustules for a face. But how will he have changed in Halo 4? I have the feeling that his attachment to Cortana will or already has evolved. It’s fair to say that John will have developed an attachment to Cortana, and I don’t mean in a ‘let’s make some holo-babies’ kind of way. It’s possible that their relationship will develop into a much darker entity, fuelled by a desire to vanquish all who stand in their way. This, of course, doesn’t mean both of them have suddenly turned into a pair of blood-crazed psychopaths, merely a pair of hardened individuals who will now go that extra mile to ensure no one will stand in their way. And we can actually draw some comparisons here. Personally, I can see Cortana develop into something reminiscent of Galadriel from The Lord of the Rings (played by Cate Blanchett) – when she tests herself with the possibility of inheriting the one ring. She envisions a queen of light – powerful, but deadly. “All will love me and despair!” I believe is the phrase. Now imagine something similar in Cortana. She was already intelligent and highly capable, but when paired with ancient Forerunner knowledge and a dash of rampancy, she’s now an AI on an ego trip, but has the power to back up her claims and threats. Add to that a hatred for her creator and all that she stands for, and you have one troubled AI. But the Chief will be something else entirely. The Master Chief, for me, seems far too good natured at the moment and in no way insubordinate, and that has to change, even if only a little. He’s saved the galaxy – twice. So everyone needs to cut him some slack. He’s no longer a simple tool to be used, or a soldier to be ordered into battle and HIGHCOM, should they play a role in the forthcoming trilogy, need to remember that, because if he doesn’t like your idea, he’s likely to tear off your legs and feed them to his pet hologram. And should the other Spartans feature, I’m sure they’ll be the main focus of his concern for others, not the UNSC or humanity. In short, he’s pissed off with all of the nonsense and politics and wants to sort everything out, once and for all. He doesn’t want to deal with the middleman anymore, he wants to go straight for the CEO of the company and punch him square in the face. So watch out, Timeless One! So what can the enemy expect when they go toe to toe with the deadliest partnership in the Milky Way galaxy? What approach to combat will John and Cortana utilise? With the possibility of new, enhanced weaponry for the Chief to master, it’s clear that many of our regular foes – the Covenant, or what’s left of it – will be cast aside amid a storm of fire. But the Chief may approach each encounter far more aggressively than before, possibly even to the point of being reckless, to a degree. And if the Chief acquires some new armour, then hand to hand combat will become the order of the day. Cortana will undoubtedly do her usual AI work and set about any foreign system with renewed vigour, though this time her approach could be slower, more deliberate or even more aggressive than before. I suspect that when it comes to combat, Cortana will not always be completely reliable. She may even disappear altogether for a while, wandering around nonchalantly amid the chaos, much like 343 Guilty Spark would in Combat Evolved as you desperately tried to clear the Library level of Flood, before returning and shouting obscenities at the enemy and then flooding enemy filled chambers with poisonous gas or cutting life support in certain areas. She could even go as far as possessing a Forerunner war sphinx every now and then and going to town on the enemy like a deranged banshee, fuelled by a potent mix of acid, habanero peppers and PMT. She’ll be a fearsome opponent and most likely a pain in the arse to deal with every other time. But despite our duo’s problematic mental states, they will undoubtedly rely on each other in Halo 4 more than ever before. And I suspect the touching scene during Cortana’s retrieval in Halo 3 will not be the last. A very interesting article! This is probably what Halo 4 will be like! And I hope this will happen. It makes the Halo story in video games much more interesting than the first three and the prequels. Hopefully Halo 4 would end up as a masterpiece both in singleplayer and multiplayer. It completely destroys the idea of the Chief as a symbol of sacrifice and as a savior if he somehow ends up on a power trip fueled by the people he was created to protect. And don’t get me started on Cortana. She’s the one with a problematic mental state, not the hardened Spartan. When you look at it critically, Cortana evolved into the emotional half of the John-Cortana duo. MC is the lethal, physical side of their duo. In a sense, through the first trilogy they became one and the same… and that’s why their emotional connection seemed so intense near the end of H3. 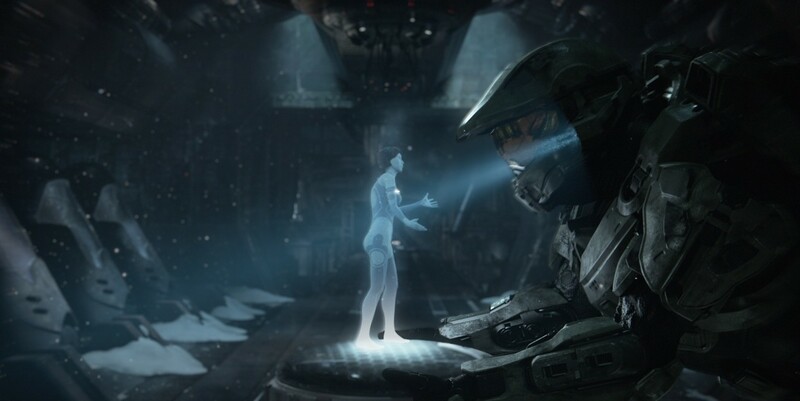 Cortana is certainly facing rampancy, but I think it’s far more plausible for her and the Chief to experience a dramatic, ironic sort of “love” for each other because they each complete the other half… and it’s sad because they will never TRULY understand the other completely. It’s also safe to say that if ever there were to be a human AI construct that became meta-stable, Cortana would be the first to do it.